NO CM of Tamil Nadu Jayalalithaa is still alive but suffered a major heart problem today.Apollo Hospitals had issued the press release under Honorable CM Jayalalithaa medical condition. 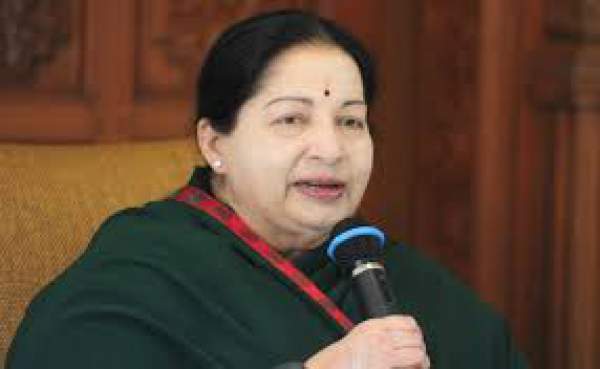 Fans are requested to pray at homes for the good health of Tamil Nadu CM often known as “Amma” by Party workers. With great demise we have to inform you that Our beloved leader, The Iron Lady of India Puratchi Thalaivi Amma is no more. She was undergoing various treatments. Recently her home state won various international recognitions under her ruling. After coming back to the office, she had handled various projects. One of the prime projects was the inauguration of world’s largest solar plant in the state. The Honorable Chief Minister of Tamil Nadu who is undergoing treatment in Apollo Hospitals, Greams Road, Chennai. Suffered a Cardiac arrest this evening. She is being treated and monitored by a team of experts including cardiologists, pulmonologists, and critical care specialists. Issued by Apollo Hospitals Chennai. Its very much clear that supporters love their CM very much. A huge crowd could be seen outside the hospital. People are ready to spend their nights at streets waiting for any further announcement. Narendra Modi, BJP Ministers, and all leading names around the country wished Amma for her health. Even the great political rivals of Jayalalithaa are now praying for her good beingness. whatever sad or bad news few people will try to create unwanted violence and cause damage to public property.when Jaya was arrested remember dharmapuri incident. so after arranging all security the actual news will be issued.till have to wait.. The Apollo is cheating people and blaming medical societies without producing proper report of J.Jeyalaitha treatment, all are for money only..how stupid we are? i think jayalalitha is dead.il is all drama because if release tha really report in jayalalitha their hospital were injured in AIADMK people …….